Why advertise the best job in the world? This is a guest post by Craig Martin of the Indie Travel Podcast. I’m sure you’ve heard about the best job in the world. 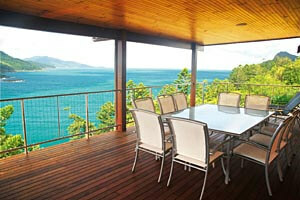 Over 10,000 people have already applied to live in a three-bedroom house in the Great Barrier Reef’s Hamilton Island. For six months you’ll explore the islands at Tourism Queensland’s expense, writing up your experiences online, taking photos and video… travel blogging, really. Of course, with a job this good, there’s got to be a catch. With benefits like that, the pay’s sure to be shocking. I mean, AUD$150,000 for six months? What’s that in real money? At the moment its US$96,300… that doesn’t seem like a problem to me. “Travellers these days are placing increasing importance on first-hand reports from other travellers when they choose a holiday. So when Tourism Queensland was looking for an innovative way to promote our new Islands of the Great Barrier Reef campaign, what could be better than having a real and independent traveller based on a Great Barrier Reef island reporting on their personal experience. 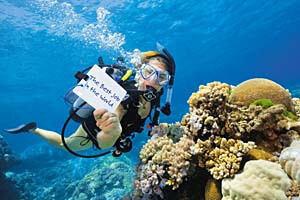 The Great Barrier Reef is the highlight of Queensland and, logically, forms the cornerstone of their tourism marketing. Candidates must make a sixty second video demonstrating why they’d be the perfect person for the job and demonstrate their knowledge of the islands of the Great Barrier Reef. Let’s get this straight… tens of thousands of people are doing reasonably in-depth research on the area then taking the most interesting parts and adding it to a short online video. The best applicants will be funny, passionate, eminently watchable and are likely to go viral. Tourism Queensland couldn’t pay for that coverage if they tried. And every time and interested person watches an application video they find out something about the islands… and that something makes them want to visit. And that’s just the application process! 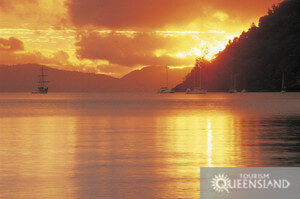 It’s obvious that Tourism Queensland is getting more than their moneys worth in terms of PR and marketing. And good on them…it gives one of us a chance for six month’s play. Last updated by Craig_Martin on 10 February, 2009 in Travel.